Margaret Ferguson Books, 9780823441488, 288pp. One morning 10-year-old Thomas's mother tells him about a dream she had about taking a trip by herself--which is odd because lately his mother has been too depressed to even leave the house. But when Thomas gets home from school, she's gone. The police search everywhere, and although they find her car, they can't find her. Thomas's neighbor helps him cope with his anxiety by having him think up a fantasy about where she might have gone. As time passes, Thomas takes charge of the story sending his mother on a quest in the astral plane. With the help of this narrative journey, his family, and his friends, Thomas begins to realize that even if his mother never comes back, he can still hold a place for her in his heart and mind. 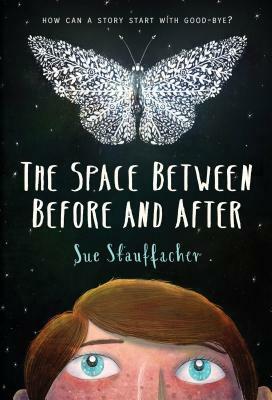 Sue Stauffacher is the author of the Animal Rescue Team series, as well as other well-received middle grade titles including Cassidy's Guide to Everyday Etiquette (and Obfuscation) and Donuthead, which received starred reviews from Publishers Weekly and School Library Journal.